The Paul Mitchell Neuro HeatCTRL Shampoo (£18.95) treats stressed and damaged hair with a weightless formula that gently cleanses and revitalises the hair from root to tip. It has been fortified with innovative HeatCTRL technology, and this lathering shampoo effectively eliminates dirt and impurities to prepare the hair for the use of any heat styling tools. 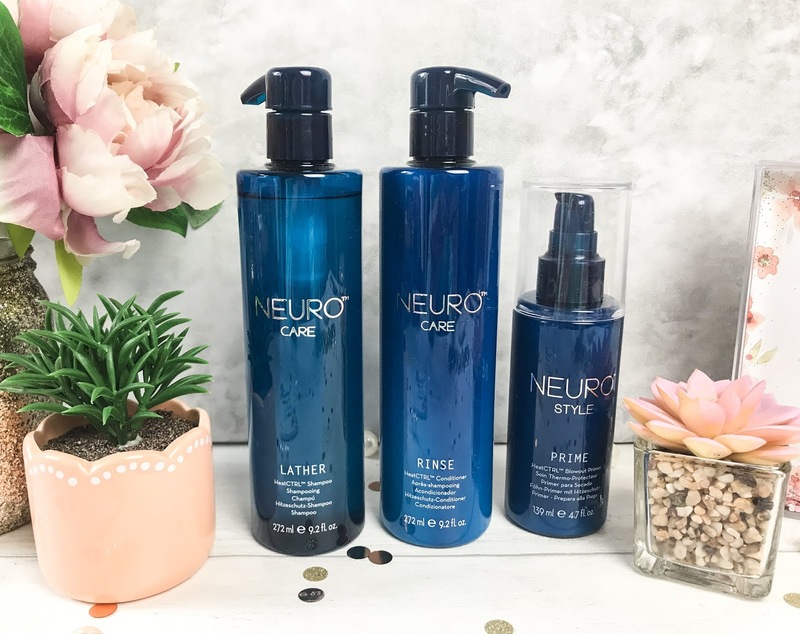 The Shampoo is suitable for all hair types and colours and leaves a refreshing scent after use, leaving the hair feeling and looking soft, smooth and rejuvenated. I adore the luxurious blue packaging and both the shampoo and conditioner come in pump applicator bottles ensuring you get every last drop of product. I never wash my hair using shampoo alone, so the Paul Mitchell Neuro HeatCTRL Conditioner (£20.95) is the perfect pairing. 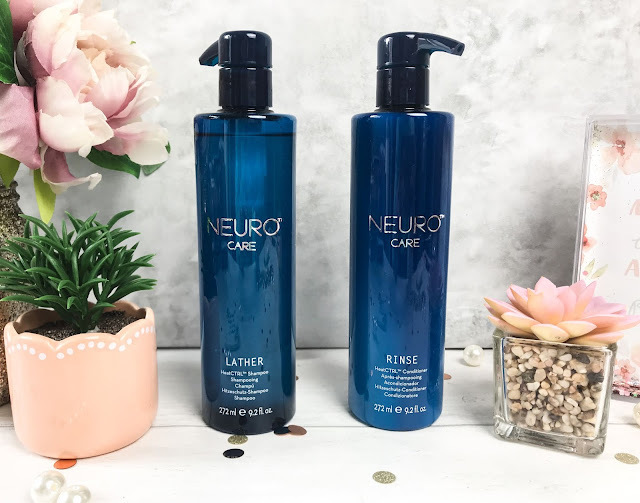 This conditioner works to replenish and protect the hair, and again has a lightweight, ultra-hydrating formula which gets to work on revitalising stressed strands. With the innovative HeatCTRL technology, this rich conditioner provides advanced thermal protection to shield the hair from tools which can cause heat damage. I find that the HeatCTRL Conditioner leaves my hair super glossy and healthy looking along with improved manageability. As an added bonus, these products are not tested on animals - gotta love that! 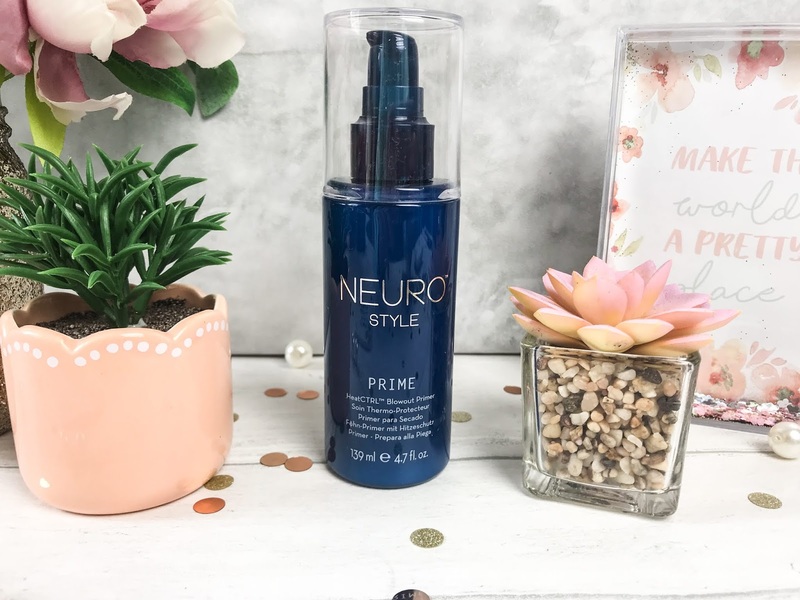 Also within the Neuro Range, we have the Paul Mitchell Neuro Prime HeatCTRL Blowout Primer (£25.95), which really prepares the hair for styling. You only need to use a tiny bit of product and I found it to be lightweight and non-greasy which is great for me as I have quite fine hair and if I use some products they can weight my hair down or make it look greasy. This hair primer helps to reduce the rate of heat transfer from roots to ends when using hair straighteners, hairdryers etc and can be applied to clean, damp hair for a super sleek and smooth finish. You can find the Paul Mitchell Neuro Haircare Collection online at Look Fantastic.